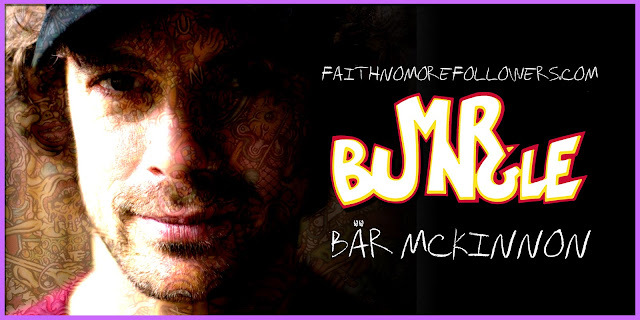 Bär McKinnon talks Mr. Bungle. 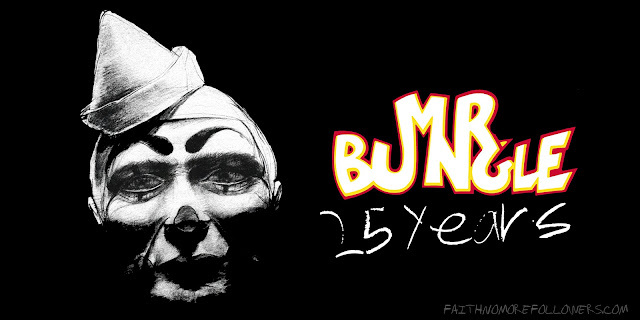 To celebrate the 25th anniversary of the debut album by Mr. Bungle we had the privilege of chatting to members of the band and discussed their thoughts on this seminal record. First in the hotseat was the multi talented Clinton McKinnon, alias Bär. Clinton joined Mr Bungle in 1989 and played tenor saxophone on the album. He was a member of the band until their disbandment in 2000 after which he went on to work with with Secret Chiefs 3, Dieselhed and Humboldt County hip hop/reggae/rock fusion band Lakota. He now lives in Melbourne Australia and performs with his own project Umlaut. When was the last time you listened to Mr. Bungle's debut album? I can't remember the last time I listened to the first album. But when I had, it sounded scrappy and rough. Like more of a live album than what we'd done later. For example maybe a bit off-the-cuff. You have to remember that those songs had been written and played for a couple years prior to their 'proper' recording. So in a way, those songs weren't as hot-off-the-press as tunes on the second and third albums, which had stuff that was written/crafted in the studio as we were going. You joined the band in 1989, how did you meet up? I met Trevor and Trey at university, HSU, in Arcata, California. I was in a student jazz combo with them completely by accident, or serendipity. Are there any songs/moments on the album you are particularly proud of? I don't really have any favorite moments, per-se. It was all a lot of fun to play. Looking back 'Stubb' was certainly one of my favorites to play. Did you all chip in lyrics for the songs? For that album, Trey, Mike and Dunn did, yes. Working with John Zorn must've been amazing for a fellow saxophonist, were you a fan before his involvement? Zorn was really cool, yeah. Pretty intimidating for sure. But I wasn't super-aware of his output or reputation going in, which in hindsight was probably a good thing. I can't say I was really a fan at the time. I doubt I understood what he was doing. I wasn't the hippest dude. Still ain't! But did working with him change your approach to playing or writing? Working with Zorn changed my approach to making noise for noise's sake on my saxophone....But I would be lying to say I was able to get anywhere close to what he was doing arrangement wise especially at that point in time. Honestly? Just getting to be around the Bungle guys opened up my musical world more than I could've ever known. I never felt as if I was ever up-to-date and still don't! Would you say Mr Bungle introduced a new audience to the saxophone? I don't have any illusions of grandeur that saxophone in Mr Bungle opened up anybody's world. I mean the band was originally a death metal group and then dabbled in a bit of ska, funk etc. To be fair, maybe the metalheads had to deal with a couple horn players on the stage as we went, yes. But if someone was a true Mr Bungle fan, they were wise to never get too comfortable with one style of music or approach. The audience had to be brave or they'd fall by the wayside. If I'd have been in the audience instead of on stage, I don't know if I'd have been brave enough to go along for the ride. And this album turned many fans onto different genres, opening them to new worlds of music. Was it in any way your intention to 'educate' people? There wasn't an overt intention to educate kids on how clever we could be, no. As ever, it was just us amusing ourselves and trying to make the coolest music we could with what we had. Many bands have cited this album as a major influence on their music (Incubus, Slipknot). How does make you feel? Well it's an honour that bands and musicians name-check us. But it doesn't make me feel like a king or anything! The inevitable last question. What would it take for Mr Bungle to reunite? I wish I had the answer to this question. Maybe shitloads of money?? Seriously, it would have to be simply an organic musical interest between the guys to collaborate again. I'm ready and a few others are too. But there's no point holding our collective breath. Nice post!! I want to have some best ideas to arrange my sister’s store first anniversary booked at one of the best event venues. Want to have something really best for it. And will check on internet for some great ideas. Hope will get best ideas for the day. It will be really excited to manage everything.